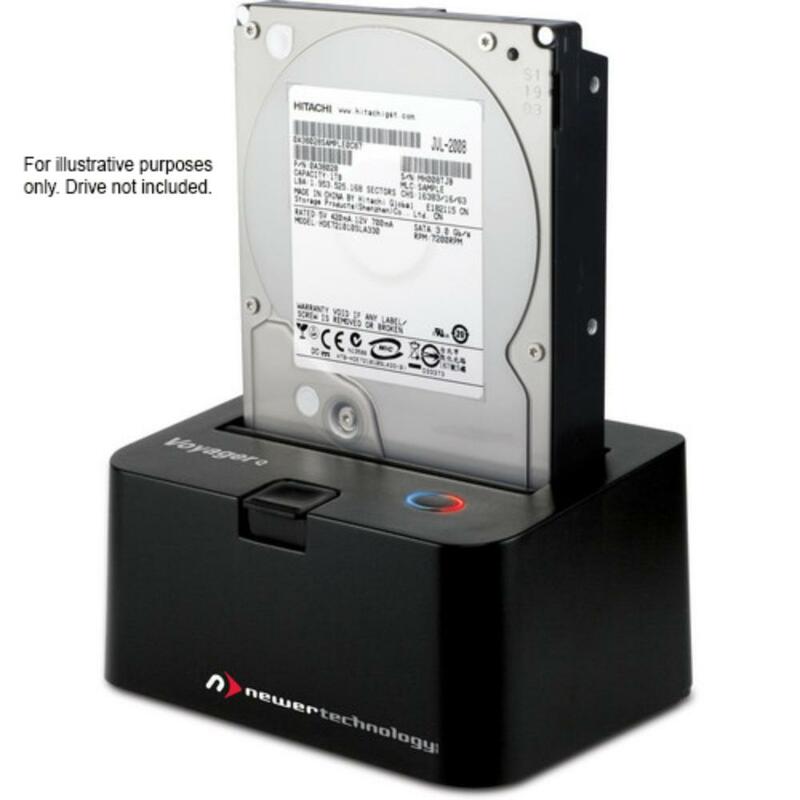 The Voyager Q Quad Interface SATA Drive Dock is a convenient way to get data from a SATA drive without installing it into your computer. It has a hinged flap for 3.5" drives and the "hot-swap" function lets you quickly switch SATA drives in and out. The base is weighted and has rubber feet – safe for most working environments. It sports a status LED and doesn't need a cooling fan so it is super quiet. This dock is ideal for videographers working with tons of footage. • Compatible with 2.5" and 3.5" SATA drives up to 4TB. • Works with SATA I/II/III. 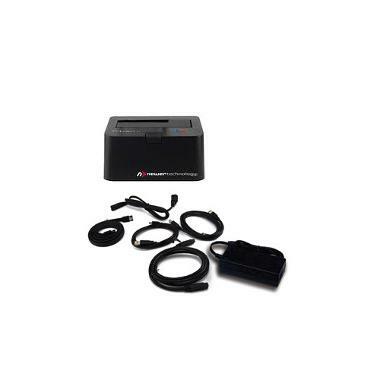 • Supports HDD or SSD. • This dock is plug-and-play friendly with both Mac and Windows but use of the eSATA interface requires a system reboot for drive recognition. It also plays nice with Linux via USB and FireWire only. Always check to make sure your OS supports external drives of a certain capacity before using it with this dock.